While the world is fawning over the Android O Developer Preview, Lenovo has finally deemed it fit to update two of its mid rangers- Lenovo K6 Power and K6 Note to Android 7.0 Nougat. 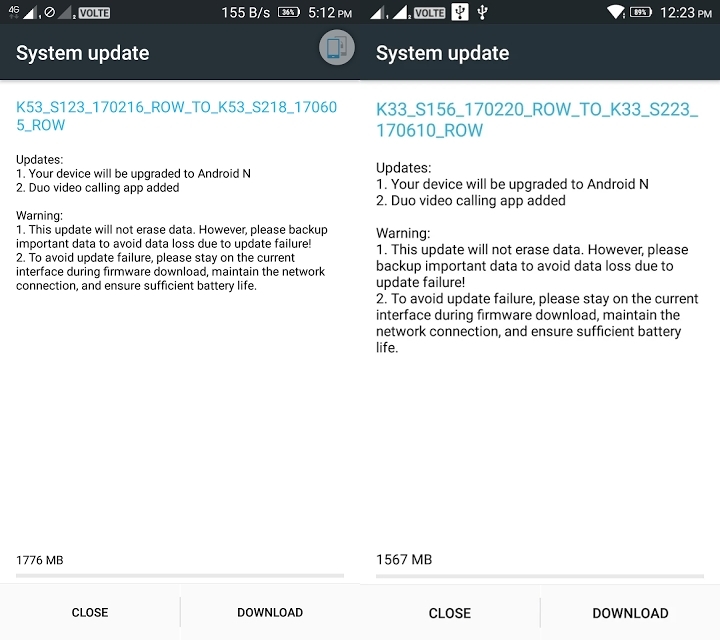 The devices, released late last year in India, bear the build numbers K33_S222_170523_ROW for the K6 Power and K53_S123_170216_ROW for the K6 Note, weighing in at 1.6GB and 1.7GB respectively, bringing some respite to the users waiting for the 7.0 update which was slated for May 2017. The download links will be updated and include the full firmware as soon as the files are captured via OTA and surface online.